A Michelin two-star chef at twenty-eight, Violette Lenoir could handle anything, including a cocky burglar who broke into her restaurant in the middle of the night. Elite counterterrorist operative Chase “Smith” had been through things that made Hell Week look easy. But nothing had prepared him for a leather-clad blonde who held him at bay at knifepoint and dared him to take her on. Now if only saving the world didn’t require he ruin her life. Two people who thought they could handle anything now have to take on each other. It's a battle neither one expected. But with their futures on the line, they have nothing to lose...but their hearts. Warning: This book contains one arrogant Navy SEAL, nights of Paris passion, and a woman who wants to have it all. 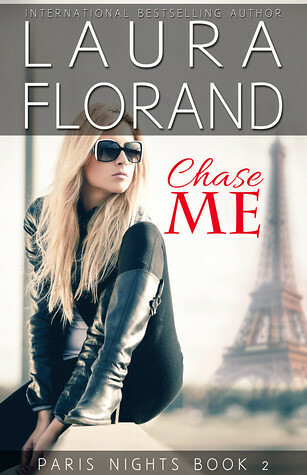 Chase Me was such a fun read! I love pretty much everything Florand writes, and while this story felt much different from her other books it was still just as good. Her books usually make me feel like I am wrapped up in this big cocoon and just all warm and fuzzy inside. This one had moments that were reminiscent of that snuggly cocoon, but it it was just plain fun. It had me smiling so big from the very first words. I loved ever minute of it. Vi has worked very hard to get where she is today. She has a Michelin two star restaurant at the age of twenty eight. She has had to deal with a lot just to get where she is. She is fighting her way to the top and won't let anyone stand in her way. Especially not a cocky guy who thinks he can steamroll over her. Chase is a special ops guy. He is in Paris to work and has to break into Vi's kitchen to do so. He is not expecting the incredible lady he find when he does. Oh, I loved it. Chase is so much fun. He definitely is very sure of himself, doesn't back down, and has always thought the movies were wrong. That he would never find a lady who could give as good as she gets. That is until Vi. Oh it was hilarious their first meeting. Chase is immediately smitten by Vi, but Vi thinks he is just talking nonsense and doesn't take him seriously. It was so much fun. One of my favorite things about the story is how well these two went together. Sure they argued a lot, but Chase really does just want to keep Vi safe, but he knows she can do that on her own. He knows how strong she is and that she doesn't need a man. "She knew that he wanted to save people, but he didn't need her to be weak so that he could satisfy his own superhero complex." Vi has always had a hard time finding a boyfriend that could be something serious. Most men seem to like that she is headstrong at first, that she can take care of herself, but quickly want her to fold and become a docile little lady which she just is not. Chase definitely doesn't want that. In fact when things go wrong for her and she starts to try and crumble a bit he is right there making sure she is still strong. He gets her riled up so she is still fighting to be what she wants. He was great. He is not used to finding a girl that would actually be able to handle him and his job. Someone who wouldn't crumble when he is away on missions. Someone who would really be a partner. These two were just perfect for each other. They fight and claw their way to a happily ever after. It was so cute!! Both of these characters are not used to the feelings they start to feel so it was adorable watching them come to terms with them. Chase was so fragile at times, but because he jokes around a lot Vi doesn't always believe he is serious when he is. And Vi is worried that she will get hurt, her heart will get hurt when he breaks it. Man I loved them together. This book was just simply fantastic. 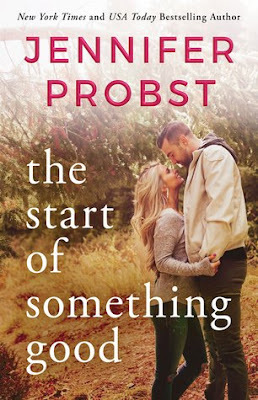 Super fun, funny, hot, sweet, cute, everything you could want in a story. As I said I read it with the biggest smile on my face. These two are one of my favorite book couples ever. I don't know how you could not fall in love with them. It was another amazing read by this amazing author.